Industry funding of scientific research often comes with strings attached. There’s plenty of evidence that industries such as tobacco and lead have been able to manipulate sponsored research to their advantage, in order to create doubt about the deleterious effects of their product. But has the sugar industry, currently in the spotlight because of concern over sugary drinks, done the same? This charge was recently leveled at the industry by a team of scientists at UCSF (University of California, San Francisco), who accused the industry of funding research in the 1960s that downplayed the risks of consuming sugar and overstated the supposed dangers of eating saturated fat. Both saturated fat and sugar had been linked to coronary heart disease, which was surging at the time. The UCSF researchers claim to have discovered evidence that an industry trade group secretly paid two prominent Harvard scientists to conduct a literature review refuting any connection between sugar and heart disease, and making dietary fat the villain instead. The published review made no mention of sugar industry funding. A year after the review came out, the trade group funded an English researcher to conduct a study on laboratory rats. Initial results seemed to confirm other studies indicating that sugars, which are simple carbohydrates, were more detrimental to heart health than complex or starchy carbohydrates like grains, beans and potatoes. This was because sugar appeared to elevate the blood level of triglyceride fats, today a known risk factor for heart disease, through its metabolism by microbes in the gut. Perhaps more alarmingly, preliminary data suggested that consumption of sugar – though not starch – produced high levels of an enzyme called beta-glucuronidase that other contemporary studies had associated with bladder cancer in humans. Before any of this could be confirmed, however, the industry trade organization shut the research project down; the results already obtained were never published. 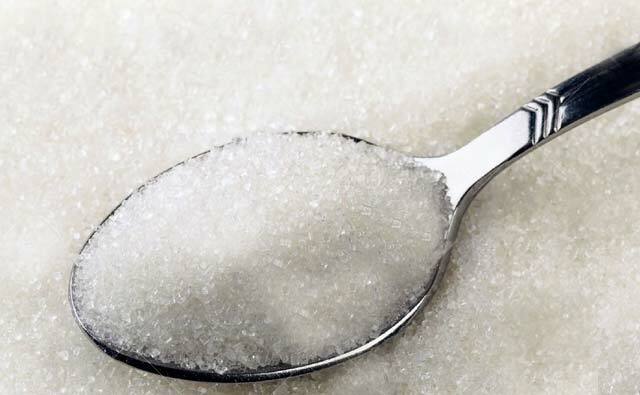 Nonetheless, the current sugar trade association disputes the UCSF claims, calling them speculative and based on questionable assumptions about events that took place almost 50 years ago. The association also considers the research itself tainted, because it was conducted and funded by known critics of the sugar industry. The industry has consistently denied that sugar plays any role in promoting obesity, diabetes or heart disease. And despite a statement by the trade association’s predecessor that it was created “for the basic purpose of increasing the consumption of sugar,” other academics have defended the industry. They point out that, at the time of the industry review and the rat study in the 1960s, the link between sugar and heart disease was supported by only limited evidence, and the dietary fat hypothesis was deeply entrenched in scientific thinking, being endorsed by the AHA (American Heart Association) and the U.S. NHI (National Heart Institute). The recent riots in France over a proposed carbon tax, aimed at supposedly combating climate change, were a direct result of blatant exaggeration in climate science for political purposes. It’s no coincidence that the decision to move forward with the tax came soon after an October report from the UN’s IPCC (Intergovernmental Panel on Climate Change), claiming that drastic measures to curtail climate change are necessary by 2030 in order to avoid catastrophe. President Emmanuel Macron bought into the hype, only to see his people rise up against him. Exaggeration has a long history in modern science. In 1977, the select U.S. Senate committee drafting new low-fat dietary recommendations wildly exaggerated its message by declaring that excessive fat or sugar in the diet was as much of a health threat as smoking, even though a reasoned examination of the evidence revealed that wasn’t true. About a decade later, the same hype infiltrated the burgeoning field of climate science. At another Senate committee hearing, astrophysicist James Hansen, who was then head of GISS (NASA’s Goddard Institute for Space Studies), declared he was 99% certain that the 0.4 degrees Celsius (0.7 degrees Fahrenheit) of global warming from 1958 to 1987 was caused primarily by the buildup of greenhouse gases in the atmosphere, and wasn’t a natural variation. This assertion was based on a computer model of the earth’s climate system. At a previous hearing, Hansen had presented climate model predictions of U.S. temperatures 30 years in the future that were three times higher than they turned out to be. This gross exaggeration makes a mockery of his subsequent claim that the warming from 1958 to 1987 was all man-made. His stretching of the truth stands in stark contrast to the caution and understatement of traditional science. But Hansen’s hype only set the stage for others. Similar computer models have also exaggerated the magnitude of more recent global warming, failing to predict the pause in warming from the late 1990s to about 2014. During this interval, the warming rate dropped to below half the rate measured from the early 1970s to 1998. Again, the models overestimated the warming rate by two or three times. An exaggeration mindlessly repeated by politicians and the mainstream media is the supposed 97% consensus among climate scientists that global warming is largely man-made. The 97% number comes primarily from a study of approximately 12,000 abstracts of research papers on climate science over a 20-year period. But what is never revealed is that almost 8,000 of the abstracts expressed no opinion at all on anthropogenic (human-caused) warming. When that and a subsidiary survey are taken into account, the climate scientist consensus percentage falls to between 33% and 63% only. So much for an overwhelming majority! A further over-hyped assertion about climate change is that the polar bear population at the North Pole is shrinking because of diminishing sea ice in the Arctic, and that the bears are facing extinction. For global warming alarmists, this claim has become a cause célèbre. Yet, despite numerous articles in the media and photos of apparently starving bears, current evidence shows that the polar bear population has actually been steady for the whole period that the ice has been decreasing – and may even be growing, according to the native Inuit. It’s not just climate data that’s exaggerated (and sometimes distorted) by political activists. Apart from the historical example in nutritional science cited above, the same trend can be found in areas as diverse as the vaccination debate and the science of GMO foods. Exaggeration is a common, if frowned-upon marketing tool in the commercial world: hype helps draw attention in the short term. But its use for the same purpose in science only tarnishes the discipline. And, just as exaggeration eventually turns off commercial customers interested in a product, so too does it make the general public wary if not downright suspicious of scientific proclamations. The French public has recognized this on climate change. Remember the low-fat-diet? Highly popular in the 1980s and 1990s, it was finally pushed out of the limelight by competitive eating regimens such as the Mediterranean diet. That the low-fat diet wasn’t particularly healthy hadn’t yet been discovered. But its official blessing for decades by the governments of both the U.S. and UK represents a subversion of science by political forces that overlook evidence and abandon reason. The low-fat diet was born in a 1977 report from a U.S. government committee chaired by Senator George McGovern, which had become aware of research purportedly linking excessive fat in the diet to killer diseases such as coronary heart disease and cancer. The committee hoped that its report would do as much for diet and chronic disease as the earlier Surgeon General’s report had done for smoking and lung cancer. The hypothesis that eating too much saturated fat results in heart disease, caused by narrowing of the coronary arteries, was formulated by American physiologist Ancel Keys in the 1950s. Keys’ own epidemiological study, conducted in seven different countries, initially confirmed his hypothesis. But many other studies failed to corroborate the diet-heart hypothesis, and Keys’ data itself no longer substantiated it 25 years later. Double-blind clinical trials which, unlike epidemiological studies are able to establish causation, also gave results in conflict with the hypothesis. Although it was found that eating less saturated fat could lower cholesterol levels, a growing body of evidence showed that it didn’t help to ward off heart attacks or prolong life spans. Yet Senator McGovern’s committee forged ahead regardless. The results of all the epidemiological studies and major clinical trials that refuted the diet-heart hypothesis were simply ignored – a classic case of science being trampled on by politics. The McGovern committee’s report turned the mistaken hypothesis into nutritional dogma by drawing up a detailed set of dietary guidelines for the American public. After heated political wrangling with other government agencies, the USDA (U.S. Department of Agriculture) formalized the guidelines in 1980, effectively sanctioning the first ever, official low-fat diet. The UK followed suit a few years later. While the guidelines erroneously linked high consumption of saturated fat to heart disease, they did concede that what constitutes a healthy level of fat in the diet was controversial. The guidelines recommended lowering intake of high-fat foods such as eggs and butter; boosting consumption of fruits, vegetables, whole grains, poultry and fish; and eating fewer foods high in sugar and salt. With government endorsement, the low-fat diet quickly became accepted around the world. It was difficult back then even to find cookbooks that didn’t extol the virtues of the diet. Unfortunately for the public, the diet promoted to conquer one disease contributed to another – obesity – because it replaced fat with refined carbohydrates. And it wasn’t suitable for everyone. This first became evident in the largest ever, long-term clinical trial of the low-fat diet, known as the Women’s Health Initiative. But, just like the earlier studies that led to the creation of the diet, the trial again showed that the diet-heart hypothesis didn’t hold up, at least for women. After eight years, the low-fat diet was found to have had no effect on heart disease or deaths from the disease. Worse still, in a short-term study of the low-fat diet in U.S. Boeing employees, women who had followed the low-fat diet appeared to have actually increased their risk for heart disease. A UN review of available data in 2008 concluded that several clinical trials of the diet “have not found evidence for beneficial effects of low-fat diets,” and commented that there wasn’t any convincing evidence either for any significant connection between dietary fat and coronary heart disease or cancer. Today the diet-heart hypothesis is no longer widely accepted and nutritional science is beginning to regain the ground taken over by politics. But it has taken over 60 years for this attack on science to be repulsed.